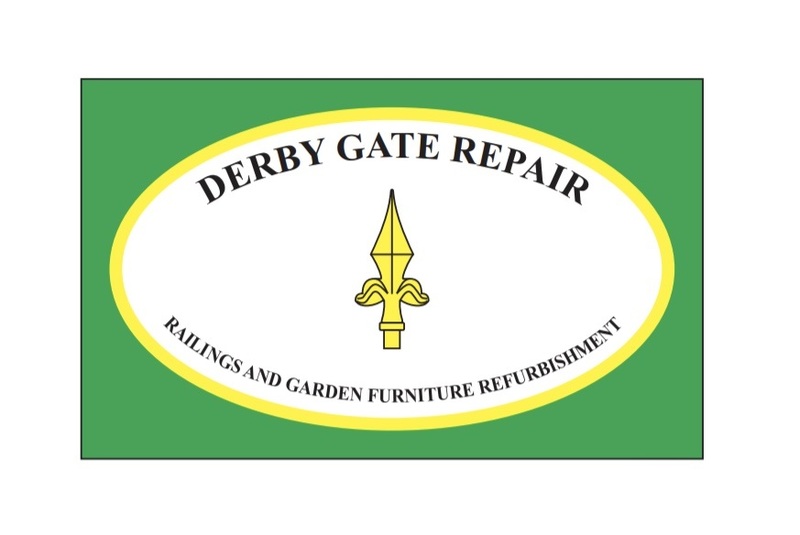 Derby Gate Repair is a family run business and part of The Gate Maker group. We have over 35 years experience in fabricating and repairing gates and railings for both domestic and commercial customers. Our friendly team are always happy to help whether you need a few small items refurbishing such as wheels, tools or a garden gate, right through to much larger scale renovation projects. Our fully equipped workshops are located just outside Derby and we cover the entire East Midlands area. We offer a free collection and delivery service throughout Derbyshire and Nottinghamshire. You can up-cycle your existing metalwork at a much lower cost than buying new and we will do all the work for you. Firstly we will come and collect your items to be refurbished. We then remove all surface rust by carefully shot blasting in our workshop. We will make any necessary repairs and then finish with a powder coating which comes in a choice of colours. Powder coating lasts much longer than paint and will seal and protect your metalwork. We will return your refurbished items and re-hang or re-fit any gates and railings for you. We can refurbish your Garden Gates and Railings, Handrails, Garden Tables and Chairs, Garden Ornaments, Car & Bike Wheels and Parts and any other metalwork. Prompt service. 1st class Job. Derby Gate Repair recommended by John Grace of JGS Construction. Took the old gates away - came back as good as new - just sets the house off. Would recommend. Fitted, cleaned up the mess. Brilliant communication, powder coated some wheels for me. Amazing service. I've now used this company twice - once to refurbish a cast iron garden table and six chairs, and recently to strip and re-finish a Victorian styled metal headboard. On both occasions, the company were prompt, efficient, did an excellent job and charged a fair price. Further, when I had one slight concern after the first job - which turned out not to be a fault at all - they came straight around to investigate for me. I have recommended Derby Gate Repair to several people already and will continue to do so. Had garden furniture sand blast and powder coated. Better than new. Service excellent, collect and delivered. I cannot fault the service I received from first enquiry to completion of the job. The staff were all very polite and helpful and the job well done. Excellent service - above and beyond my expectation. Would and will highly recommend them for service and workmanship. Quick to give quote. price was right. Collected the gate and delivered it back as new, when they said they would. Service was very good. Would be pleased to recommend. Very satisfied with the service we received from the receiving of the quote to the excellent job made of painting and hanging of the gates. Absolutely brilliant service, very professional and attention to detail very good - very pleased! Very efficient, accommodating and friendly, produced a quality job. The service was excellent, they collected the item, doing a wonderful repair and delivered back again on time & everything within budget. We have dogs so DGR offered fast turnaround service. Gates came back following day restored to good as new. Job done to time to a high standard! Excellent customer service and security consideration. First class workmanship and understanding of our needs. One of the best contractors we have dealt with. Sincere thank you to them all. Very efficient service. Rang when they said they would, turned up when they said they would. Quality repair to a gate which was broken - the maker of which had let me down 4 times, hence calling this firm instead, to do the repair. If all traders were as good as Derby Gate Repair the world would be a better place. On time, on budget, brilliant. All persons dealt with were pleasant & helpful. I would certainly recommend them to others. Cannot fault them. Speedy and courteous service. Excellent service. Very kind and helpful staff. Made an excellent job of repairing, showboating and powder coating some gates. Would highly recommend. Picked up my garden seat and returned very quickly with job complete. Excellent service, very quick turnaround of a perfect job. All staff professional and friendly. Really pleased with my gates, they are as good as new. Thank you. Good Service. Good price. Nice people. Good job. I certainly would not hesitate to recommend this company to family and friends. They were pleasant, trustworthy and did a great job refurbishing my garden railings. I would definitely use them again. 2 x refurbished and fitted single gates - really delighted … gates look like new! High standard of work, thank you all. I thought they were very good and the speed of service, excellent. Friendly. Helpful and very reasonably priced. Wonderful job. On time, good job done. I do not realise such good service was still about. Excellent company! We had two old gates refurbished and they look better now than at any time in the last 40 years. The service was excellent, doing everything they promised on time and following up to make sure all the little details were perfect. Very professional, did an excellent job. Quick turnaround. Good service. Good price. They did a really good job of shot blasting and powder coating my patio table and chairs I am very pleased. Excellent service and great quality. Would not hesitate to recommend. Really quick response to my email enquiry and excellent customer service throughout. Really happy with the shot blasting and powder coat finish. When the gates were picked up, they had water in. The man tipped them up and drained them onto the pavement. He then washed the pavement with water and brushed the mess away. W thought this was exceptional, the gates look great again and would recommend them to anyone. Very helpful and efficient and excellent quality of work. Would highly recommend. First class service, nothing too much trouble. Job completed to a high standard. I had an excellent service, my gate was collected and repaired in record time. The company personnel were polite and courteous at all times. Have no hesitation in recommending them. Wonderful people, service! Made my table better than brand new from rusted. Initially helpful advice on phone about what they could do. Prompt pick up & quotation. Excellent work completed within one week & again delivered to my door. Very reasonable price. Delighted with the outcome. Looked after very well and took extra care as if it were his own gates. From start to finish this has been an excellent service. Each person involved has been polite, friendly and respectful. The gate is now finished and looks perfect. I would highly recommend the company. The company were excellent from the original quote to completion of work. They were punctual, efficient, clean & courteous. I would highly recommend this company. Bernie came to give us a quote for refurbishing our rusty gates. One week later they had been collected and one week after that they were refitted and look like brand new gates! Highly recommend! Very good service. I had a old rusty table & chairs in the garden, they came and took it to be shot blasted and powder coated then brought it back. They came back like new. What a friendly company, nothing too much trouble. My motor cycle frame and parts were quickly shot blasted and powder coated, the finish is first class. I'm delighted with the whole experience.